It's an unfortunate truth: the majority of American workers don’t use all of their vacation time. In a single year, American workers collectively leave as many as 662 million vacation days on the table. Skipping vacation and wasting PTO has a variety of negative impacts on our health and well-being — leading to increased stress and anxiety, which can cause high blood pressure, heart disease and more. We know it's hard to rip yourself away from the office, but there may be room for compromise. What if you could combine work and play by working remotely from a resort on the beaches of Florida? 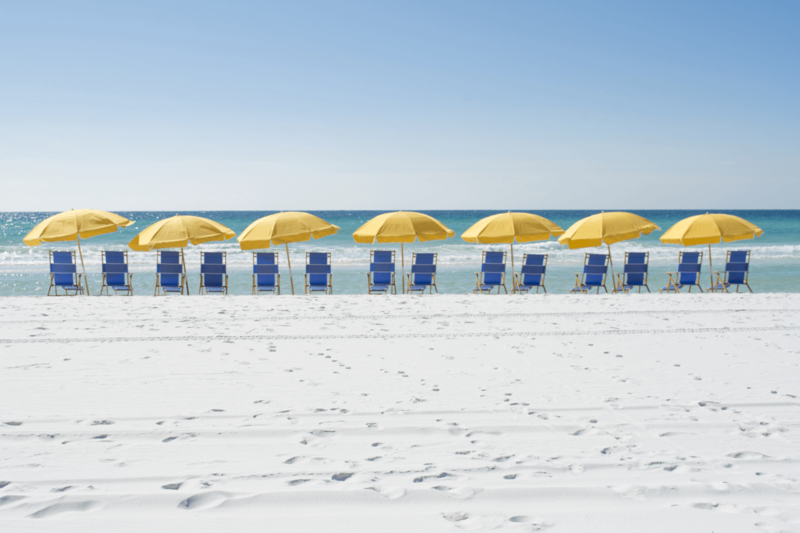 Choosing to work remotely from Hilton Sandestin Beach Golf Resort & Spa for a few days can provide you with a fresh perspective on your work and renew your spirit — and still allow you to meet important deadlines and keep your foot on the gas pedal. 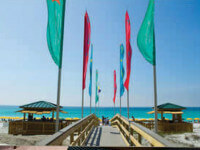 We welcome anyone and everyone to visit Hilton Sandestin Beach Golf Resort & Spa for a working vacation. Our beachfront location is the perfect place to free your mind, take a creative retreat, and let your surroundings inspire you to push your work to the next level -- whether you’re a writer, entrepreneur, investment banker, or something else entirely! The resort offers a variety of great places (and amenities!) to help you get your work done. First, stop by our coffee shop for a Starbucks coffee to kick start your morning. The Coffee Shop opens bright and early to help you seize the day and start off on the right foot. Then chose from a variety of great places to settle in and get to work. If you need technology to help you do your work, it’s no problem. It’s easy to stay connected in our Connectivity Center, which has multiple desktop computers and a printer). Or connect to wifi and work from the high top tables at Barefoot's Beachside Bar & Grill (if you'd like to work with a Gulf view), or the indoor pool (if you're looking for a serene, quiet spot). All of our rooms and suites also come equipped with a desk/table, which includes a convenient power source nearby. Our front desk is happy to help meet any other needs you may have while working remotely at Hilton Sandestin Beach, a fantastic Florida beach resort. Whether you need to make copies of important documents, or just borrow some office supplies, we're happy to assist in any way we can. And don't forget about Kids Krew and our babysitting services, which allow you to bring the family on your working vacation for some combined work and play time. 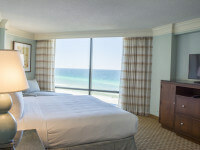 At Hilton Sandestin Beach Golf Resort & Spa we love to provide the perfect vacation experience. But we also understand that in today’s world, a proper work-life balance may mean that vacation includes some work time and vice versa. If able, we encourage you to step out of the office and try to work remotely from our Florida beach resort to refresh your mind, body and soul.